Today we’re going to discuss building and creating extraordinary confidence in your life—how to go from sub-average to super confident. I spent many years of my life as a shy, anxious person who did not like himself very much. I had no girlfriend and no career prospects, and I felt inferior to the people around me the majority of the time. Let me tell you: when you live life like that, your comfort zone gets to be incredibly small. Even the simplest actions—talking to women, starting conversations with strangers—exist outside of the tiny ring of safety you construct around yourself. I stayed stuck in that reality for many years, and I can tell you from personal experience that to break free of it, you must begin to take bold action. You must begin to do those things that lie outside of your comfort zone. Start by choosing the thing your inner critic says you can’t do and go do it. You think you can’t start up a conversation with a stranger? Try it. You think you can’t say “Hi” to passersby as you walk down the street? Try it. Begin to shift away from avoiding the scary stuff in your life, and start approaching it. That is the secret. Once you experience it a couple times, your confidence will expand and you’ll be able to do more and more with it. All it takes is one new action: “I’m going to look at people and say ‘Hello’ as I pass them on the street.” You try that, and you realize that it’s not as terrifying as you thought . . . maybe you even got a couple smiles out of it and feel uplifted. Then you push yourself a little further: “I’m going to start a conversation with someone on the elevator.” That goes well too, and now you’re ready to try something even further outside your comfort zone. You have to keep approaching these actions again and again: Practice and repetition. What you’re doing is training your brain to recognize that the things you’re afraid of aren’t actually scary at all. In fact, they’re easy. Whether every attempt at branching out is wildly successful or not, your mind will slowly start accepting the fact that a little discomfort every now and then can result in a lot of payoff. By simply shifting from avoidance to approach, we can begin to expand into the realm of super confidence, where it becomes possible for you to go after everything you want in life. You have to step outside your comfort zone if you hope to experience joy in your life. You must stop the pattern of avoidance and adopt an attitude of assertiveness. Whether it’s starting a conversation with someone, approaching someone you find attractive, taking on a leadership position, or starting your own business, I want you to start making a change in your behavior and going after the things you want. There’s no end to the possibilities you’ll generate if you stop letting your fear win. If you want some additional help getting started, check out my program, Confidence Unleashed. 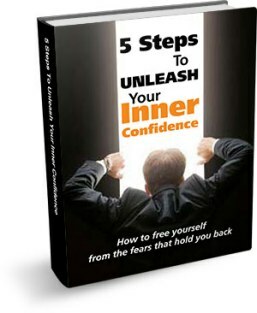 In Confidence Unleashed, you’ll learn to activate that power within yourself so you can get out there and face what scares you. You’ll learn to recognize the personal obstacles and fears that your mind uses against you and how to break through them to transform any aspect of your life. 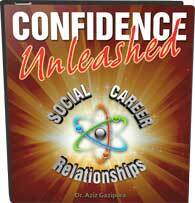 Check it out now at confidenceunleashednow.com! You can “like” or subscribe below, and I encourage you to leave comments as well. What challenges or setbacks have you faced? What have they kept you from experiencing? What are you going to do to move forward and get the things you want out of life? I’d love to read your stories and connect with you.